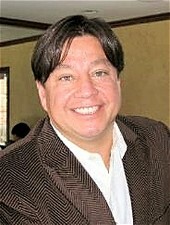 Dr. Cavazos is a graduate of Illinois Benedictine College and the National University of Health Sciences. He has treated patients successfully for over 20 years. He has worked with professional athletes in the NFL, MLS, and MLB. He has continuing medical education in MRI, Orthopedics, X- ray, Worker’s Compensation, Medical Practice Laws, Chiropractic Care, Neck and Lower Back Injuries and Foot and Ankle Injuries. Dr. Cavazos has certifications in Physiotherapy, Clinical Diagnosis, Laboratory Diagnosis, X-ray and Spinal Manipulation. He is committed to providing excellence in Chiropractic Care and can help you with Workman’s Injuries as well as Auto Accidents and Sports–Related Conditions. He also works closely with attorney’s who can help you settle your case. Dr. Cavazos is blessed with three boys who are very active in soccer. Dr. David has coached soccer for the Chicago Fire Juniors, Cruz Azul and Madrid Boys for over 10 years. If you have experienced a workman's injury, auto accident or sports-related condition, Dr. Cavazos can help. Dr. Cavazos has helped to bring relief to thousands of patients suffering from back or neck pain, shoulder stress, and knee and/or ankle discomfort. Dr. Cavazos has been helping patients find optimal health since 1988.